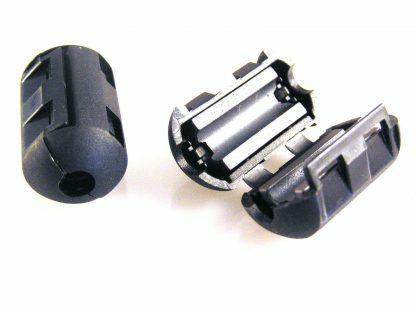 • Unique plastic case ensures simple, convenient installation and includes a self-holding mechanism to prevent slippage on cables. 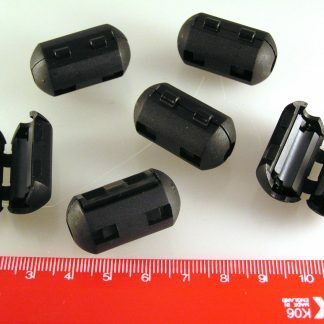 FERRITE CORE, 30X 5.2MM CABLE DIA Impedance: 50ohm Ferrite Grade: 30 Frequency Range: 50MHz to 500MHz Ferrite Mounting: Split Core MSL: MSL 2 – 1 year Ferrite Case Style: Hinged Core External Diameter: 16mm External Length / Height: 30mm Internal Diameter: 5.2m Mounting Type: Snap On Cable Operating Temperature Max: 85°C Operating Temperature Min: -40°CWidely used in computer peripherals wire material, data lines, power lines, communication network cable, digital camera cable, USB cable, signal lines, filter lines, cables, cable, audio cable, computer cable, video cable, notebook power cable, the full range, excellent material, lead-free. 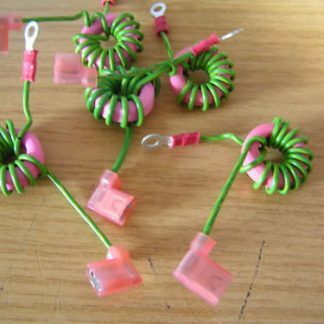 As a common mode choke coil it can be used without causing signal distortion. 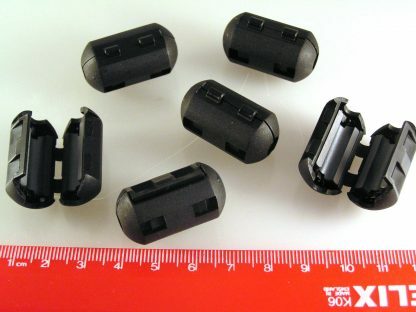 Simply “snap on” to any data or transmission cable to aid in interference suppression.These are a small clamp with an internal diameter of 5.2mm to suit for example the small diameter cable used on digital camera to computer leads, etc. 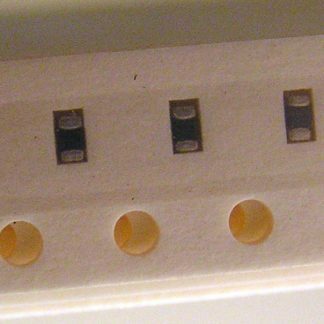 If you have ever wondered what the bulge is on a computer or data cable – It’s one of these, moulded into the cable insulation. 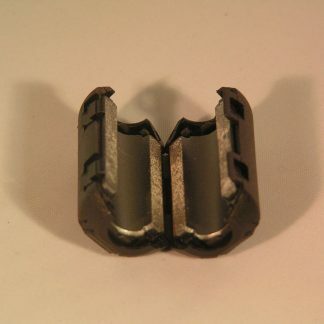 This “clip on” version permit’s ease in fitting to almost any cable – anywhere.